�����Despite the quick downturn of the metals this past week, the coin market has been very active. Dealers on the teletypes are aggressively offering to buy a variety of coins from bullion to collector coins. An increase in sales to collectors and investors has spurred this latest rise in demand by dealers. After Gold moved over the $1,240 level a little over a week ago, profit taking took over. Gold backtracked over $60 an ounce at the end of the week, but created buying opportunities for investors. This morning it is back up to over $1,190 with Silver and Platinum also on the rise. �����There is renewed interest in classic commemoratives, both Gold and Silver. We are finding more sales and dealers are actually raising their buy prices on specific dates. This rise in activity seems to have come on the heels of extremely low Market prices, possibly the bottom of the market, in the last few months. Where we had seen many discounts, we are now finding some increases in Market prices for better than average coins. "No dogs wanted at these levels", one dealer said. The current demand is for coins grading MS64 to MS68 in Silver Commems and MS64 to MS66 in Gold. There are buyers for MS67 Gold Commems but they are still looking for discounts. �����In this week's LD Wholesale Market Dealer Price Guide, there are many more increases than decreases to Market levels. Dealers and collectors are looking for specific coins by grade, most of which are low population coins. We are finding an upsurge in buy prices for Red & Brown copper, from Half Cents through early Lincoln Cents, as buyers are realizing that many of these coins can be purchased at a fraction of full Red coins. In addition, typically, the R&B coins can adequately disguise some of the copper spots that may show up in full Red coins. You will see some declines for the 1909 S VDB in MS64 to MS66. 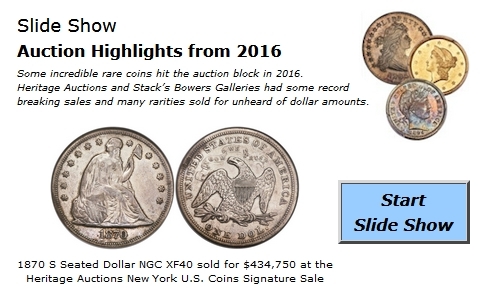 This is a result of the large quantity of coins recently sold in the Heritage Central States Sale. However, most declines were minor as the market easily absorbed all of these rarities.